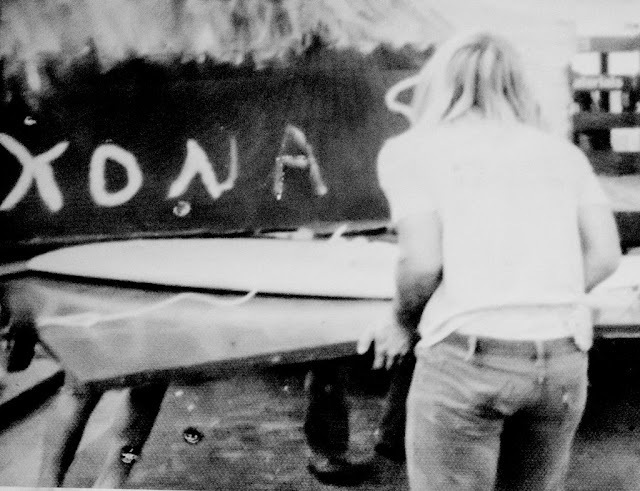 Kona Surf Company started 50 years ago when Mike Sciarra began shaping surfboards in his garage. As green as grass roots can get, local surfers were able to get their boards shaped by Mike through word of mouth from friends that knew somebody who knew somebody. If you could reach through time and pinch young Mike to tell him he would come full circle and still be shaping surfboards 50 years later, he’d be frickin' stoked! 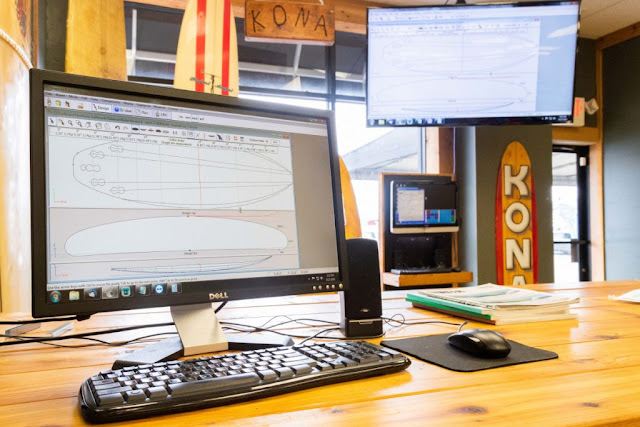 Along the way, Kona has grown, shrunk, rethunk and reorganized, but shaping surfboards has always been on Mike’s mind. Moving on up and out of the garage, Mike moved from a small storefront to an empty car dealership with the help of his friend Tony Chrietzberg working the front of the shop. He couldn’t keep his custom boards in stock because there was nothing like his product available and local surfers were eatin em up. 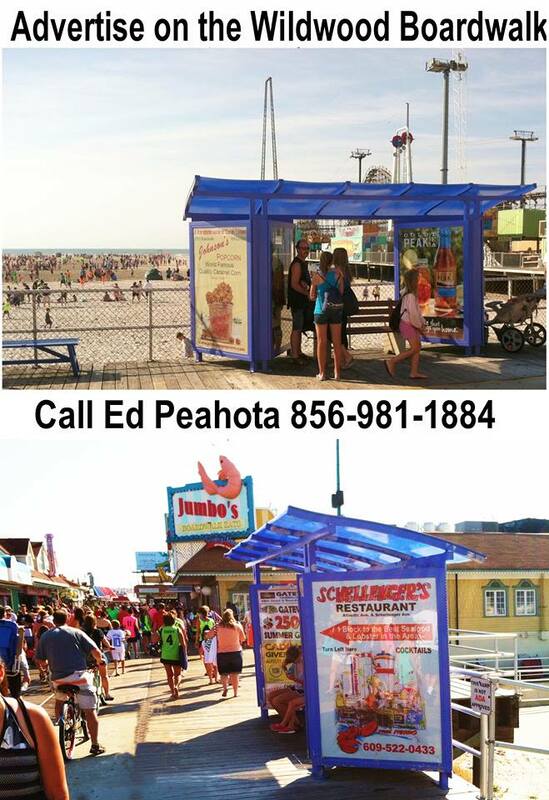 Surfing, of course, is a summer sport and now Mike has a business he needs to support all year. Based on the decent response to Mike’s unique custom surfboards, Mike decides to look at what is going on locally and add trending products that would be unique to locals to keep the business open year round. Also, Mike’s longtime sweetheart, Dee comes on board to work the finances and manage the up and coming ladies sporting styles. From there, Kona becomes a hybrid, a mish-mash, a mixed bag of surfing and other sporting goods. Maybe you remember the late seventies when it seemed like everybody needed a ten-speed bicycle. Kona creates a bicycle shop and a repair shop! Remember those Nike waffle trainers? 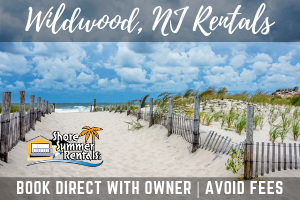 Mike brought them to Wildwood along with tennis rackets, hockey sticks, baseball bats and other products that no one carried locally. Now Kona has a unique brand to promote; a surfing inspired line of clothing. In case you were wondering, that was a test, but don’t worry - there won’t be one about this later! 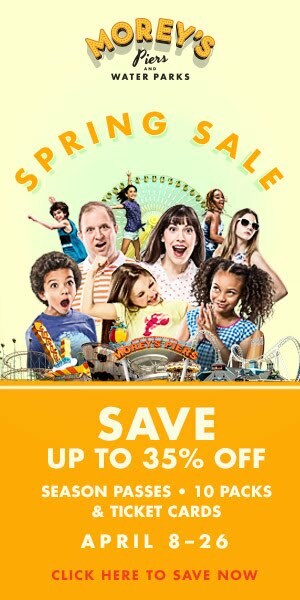 The test was to see how their unique brand sold in the store and online. The line sold great and it’s still going strong. Next up, the surfboards! At this point, let’s just say that Mike’s been shaping surfboards for about six years longer than that movie about a galaxy far, far away was released at the drive-in theater. Over the years, Mike has shaped a lot of different boards and perfected a lot of signature models. To shape a surfboard by hand takes a deceptively long time. Not to mention, the debris you’re inhaling and the toll it takes on your knuckles. It was Mike and Chris’ goal to figure out a way to make this shaping process more streamlined. After a ton of research they settled on saving up enough money to bring Miki Langenbach to Wildwood from Gold Coast, Australia and set up “The Holy Grail of Surfboard Machines”. Miki helped Mike and Chris dial in the measurements for Mike’s classic boards. Now they are cranking out their own Kona surfboards in-house as well as custom boards for local surfers. You can come in and purchase one of Mike’s classic shapes that are available as stock boards. With this new CNC machine, every measurement on a custom surfboard can be tweaked by changing a few numbers in the computer. The machine does about 90% of the work, and the rest is finished and glassed by hand. As every diehard shaper knows, a pair of hands are still vital to the finished product. 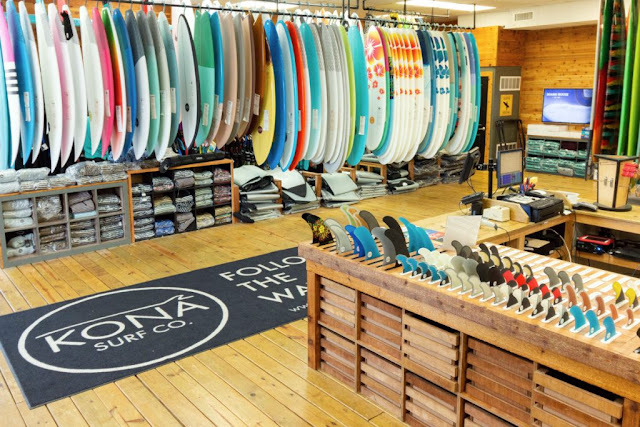 Kona started as a grass roots surfboard shaping business and has come full circle. Kona is back to offering our original designs exclusively. I guess what we’ve learned through this process is, don’t give up and stay true to yourself. So what’s in store next for Kona? Stay tuned!